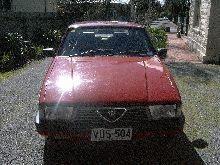 The Alfa Romeo Alfa 6 is an executive car produced by the Italian automaker Alfa Romeo from 1979 to 1986. 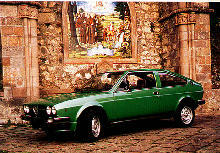 On its launch in 1979, the Alfa 6 was the flagship of the Alfa Romeo range. 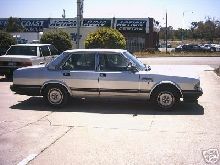 The four-door body was fairly conventional and used a similar style to the existing Alfa Romeo Alfetta, and in fact both vehicles share a great number of parts, including door panels; Design work on the 6 was done prior to the Alfa Romeo Alfetta, but the fuel crisis of 1973 delayed further development and led to the 6's belated 1979 debut. The styling was not particularly aerodynamic but the drag coefficient was a somewhat respectable 0.41. Power came from an all-new 2.5 V6 engine which generated 158 PS (116 kW; 156 hp) at 5600 rpm using a total of six carburettors (that frequently went out of balance) and a single, belt driven camshaft in each cylinder head. Power steering, power windows, central locking, electric wing mirrors and a 25% limited slip differential were standard, making the Alfa 6 competitively priced compared to similar saloons of that time where such equipment typically was a costly extra. The car was also designed to set new standards in safety; for example it featured a shock sensor in the boot which would cut off the fuel supply in the event of a crash. 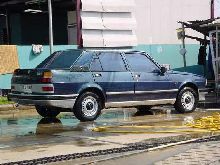 In 1983 the car was revamped, with single square headlights replacing the twin round units, new bumpers, a new grille and new trim around the rear lights. Minor interior changes were also carried out, whilst mechanically the engine's troublesome six carburettors were replaced by Bosch L-Jetronic fuel injection, with the power remaining at 158 PS (116 kW; 156 hp). This revamp also saw the introduction of two new engines, a 2.0 version of the existing V6 engine (which retained the carburettors) and a 2.5 litre VM 5 cylinder turbodiesel. 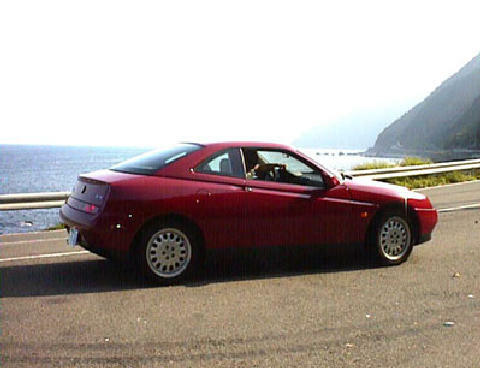 The Bertone Delfino concept car in 1983 was based on Alfa 6.